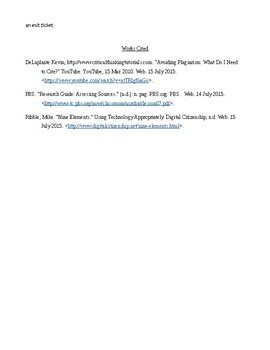 6th Grade - Using a topic to teach citing a plagiarism. 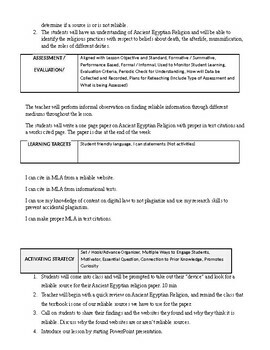 This is a completed lesson plan on plagiarism and citing sources per the Tennessee ELA Standards for 6th grade. 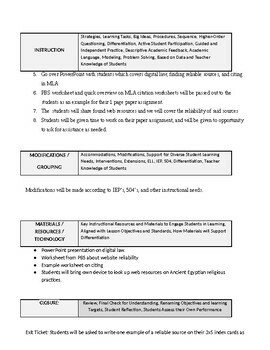 It also includes the standards for 6th grade social studies about Ancient Egyptian religion. 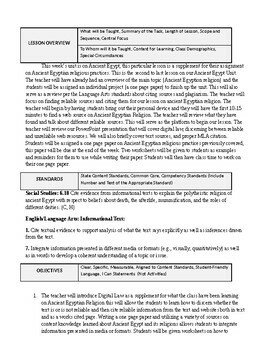 While you are free to use the lesson as written, any of the sources as well as the lesson itself can be used with any topic to talk about plagiarism and citing sources. This format is easy to edit and personalize to meet your needs and the standards of your school.